Karen L Messick Photography: Flypaper does it again! Launches new Tintype Edges...try them out! Flypaper does it again! Launches new Tintype Edges...try them out! 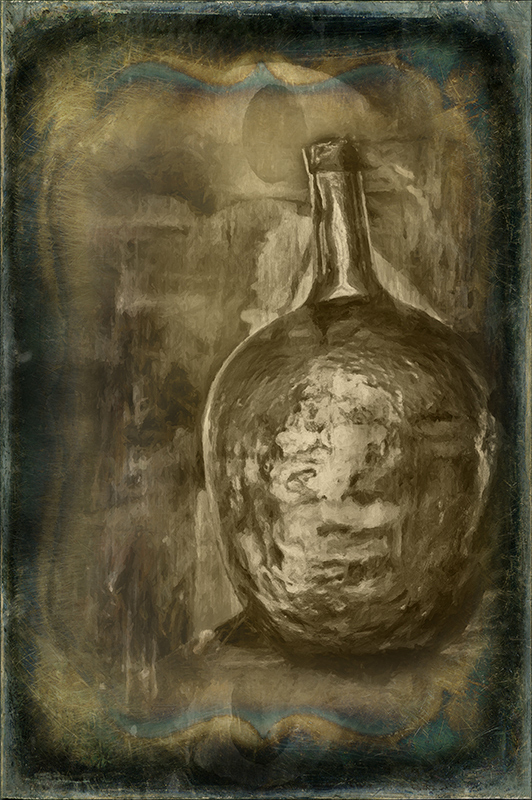 I shot this great bottle, actually it is about two feet tall, at Fonthill a couple weekends ago. It sits high on a ledge above the library. I have been working on it for a few days and been putting it away, thinking it just needed something else. I ran it through Vintage Scene a desktop app for Mac but I was not finding a look that worked...until tonight when I received an e-mail about new Textures available from Flypaper Textures announcing their new Tintype Edges, well I tried one and it was perfect to finish off this image! If you have not tried Flypaper Textures this is a great assortment to start with. Save some money on the pack and use my discount code KarenM. I was just looking at Flypaper. I'm in and thanks for the discount! Welcome, have some fun with this great group of textures! Looks wonderful Karen! Thanks for the plug! Thanks Denise, Flypaper is offering a ten day launch promo for $5.00 off. After that ten day launch period the promo code will work. Hope that helps.